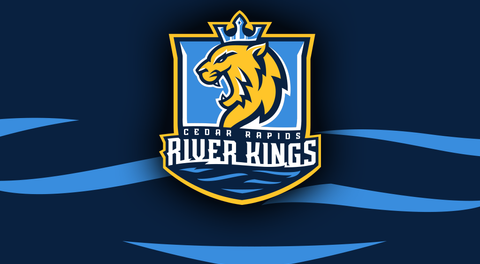 CEDAR RAPIDS – In the back half of a doubleheader with the Iowa Barnstormers, the Cedar Rapids River Kings will travel to Des Moines for their Week 7 game. The Barnstormers came away with a 41-20 victory in Cedar Rapids last Saturday night. Cedar Rapids quarterback Kurt Palandech had a solid night compeltions-wise. Although he was able to throw 56% (13-23), those 13 completions only resulted in 105 yards and a touchdown. He also had one of his throws batted in the air and reeled in by Iowa defensive lineman Desmond Raiford to for just his second interception of the season. On the ground, Palandech’s number was chosen often. He had ten rushes for 50 yards. Nate Chavious was able to turn his seven carries into 31 yards, but no touchdowns. He was not up to his usual self, but he will hope to have a more productive game in part two of this double-header matchup. Kalif Phillips made his last-second efforts count as he got a goal-line touchdown with one second left on the clock. In the air, Cedar Rapids had two uncommon names show up at the top of the receiving report. Jordan Smith (four catches, 35 yards) and Drake White (four catches, 31 yards, and a TD). With Marquel Wade not being as much of a weapon as week’s past, he has looked very good after having an off night. If he keeps this up, he should be in for a good game against the Barnstormers in Week 7. On defense, Nick Brassell was a force to be reckoned with. He was all over receivers, getting in the way of a few catchable balls. Along with getting in the way of some very catchable balls, he was able to get nine tackles, seven of which were done with no one else. On the opponent’s side, Daquan Neal was, yet again, the man of the hour. With his arm he was able to complete 82% of his passes (14-17) for 124 yards and a TD, but he was more impressive on the ground: he rushed 12 times for 58 yards and three TDs. The River Kings will need to stay home if they want to keep him out of the end zone. Along with Neal, Jamal Tyler also found the end zone on five rushes for six yards. A receiver that the River Kings will need to highlight is Ryan Ballentine. He caught ten of Neal’s 14 completions for 90 yards and had a touchdown. Another receiver that had a solid game is Connor Hollenbeck, who had three receptions for 23 yards. On the defensive side, Treyvon Williams was the number one tackler in the game. He had ten solo tackles, as well as four assists. Overall, this game should be a good game. With Cedar Rapids having the taste of a fresh loss in their mouths, they are going to be coming out looking for a better result than last game. To both team’s advantage, their opponent is fresh in their head, so they know what to expect. 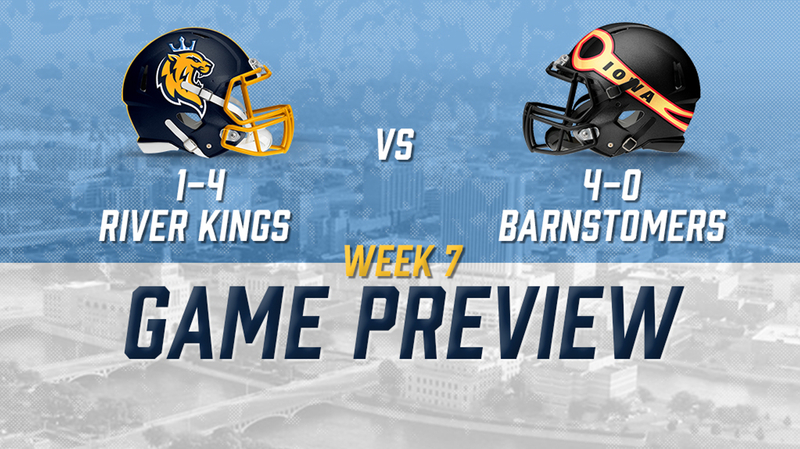 You can find the complete game notes for Week 7 here. For fans wanting to travel to Des Moines, you can get tickets here, or you can catch the game on the IFL YouTube page here. The game kicks off on Saturday, April 6th at 7:05pm CST.